Foodiot KK - Your food-idiot's guide in Kota Kinabalu: What People Eating At WWDC? 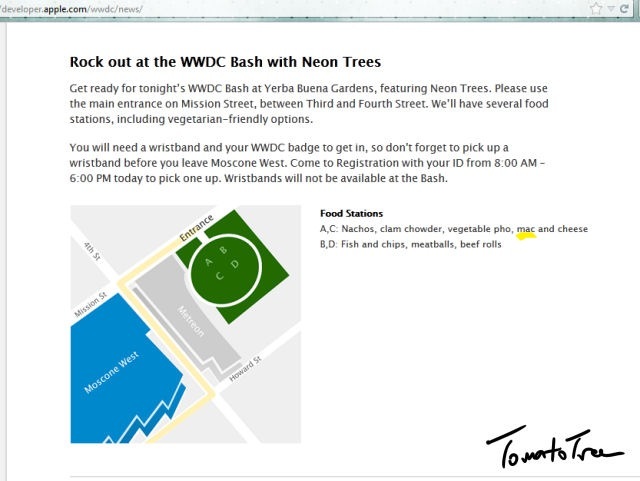 What People Eating At WWDC? Everyone is waiting for the WWDC 2012. By Friday 1am (Malaysia time) Apple will announce the new iPhone 5, or whats ever the name they are going to call it later. WWDC definitely is one of the most important conference of the year, imaging how many people around you are using Apple products! Its important because they are going to announce something to make people think: "Should I change to the new one?" Nachos, clam chowder, vege pho, Mac and Cheese, Fish & Chips, meat balls and beef rolls.